Around four months have passed since its release but we have yet to see the release of an iOS 7 jailbreak. Different members of the jailbreak team Evad3rs have been stressing on Twitter that they will soon release the jailbreak publicly however they have yet to announce an official date or an ETA. So much time has passed since the release of iOS 7.0 that not only has Apple released 4 minor updates for the mobile operating system but is gearing up to release the first major point update i.e iOS 7.1 in next few weeks. The exploit Evad3rs have been hoping to use in order to jailbreak iOS 7 wasn’t fixed until iOS 7.0.4, which clearly indicated that Apple had not discovered it yet. However that seems to have changed in iOS 7.1 beta 2 as some iOS hackers have publicly revealed that the latest beta of upcoming iOS update appears to have patched certain exploits that were crucial for achieving the iOS 7.1 jailbreak. Infamous iOS hacker iH8sn0w of the Sn0wbreeze fame revealed this information on Twitter. Another hacker named Stephen Esser who goes by with Twitter handle @i0n1c also said the same thing about the iOS 7 jailbreak exploit. 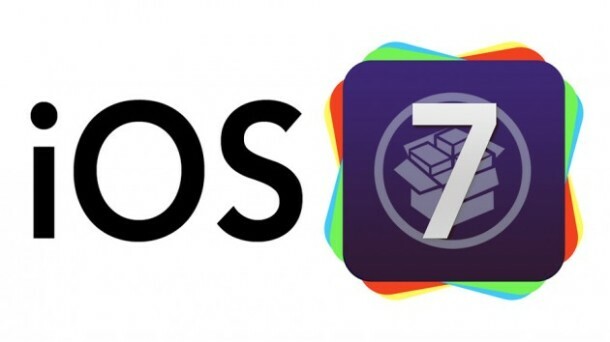 This comes as a huge blow to the whole iOS 7 jailbreak scene and for everyone who was hoping for an untethered jailbreak that could not only work with iOS 7.0 but also for the upcoming iOS 7.1. Now the only choice iOS 7 users have is they could refrain themselves from updating to iOS 7.1 whenever it is released until they hear a good news from the hackers working on the jailbreak.